Building on the success of the June pilot edition, this issue covers topics such as augmented reality, grid cybersecurity, corporate co-investment and industrial drones. Energy infrastructure and assets are becoming more complex and inter-connected, with more data to collect, analyze and action. Two key trends in this area are asset optimization and cyber-security. 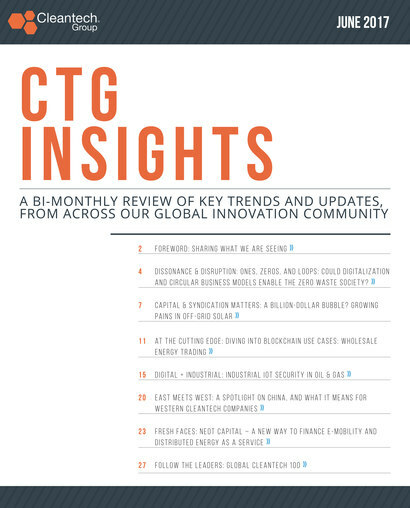 Issues such as integrating siloed datasets, data normalization and structuring, are crucial in asset optimization, as incumbent corporates look to integrate AI-enabled solutions. In cybersecurity, the industrial market is expected to grow from $13 billion in 2018 to $18 billion by 2023, as connected industrial control assets become an increasingly attractive target for hackers. Protein demand is set to increase by 50% by 2050. Increasing concerns about food safety, ethical treatment of animals, and environmental impact, are causing consumers to look for alternative to traditionally grown meat. Plant-based alternatives are well established, lab-grown clean meat is still at least 3-5 years away, and an increasing variety of proteins are being consumed. However, customer acceptance is still required, global regulatory clarification is needed, and some key manufacturing processes such as extrusion need investment to meet growing demand. The textiles industry has been undergoing an evolution due to shifting consumer habits and sustainability issues relating to the two dominant materials, polyester and cotton. 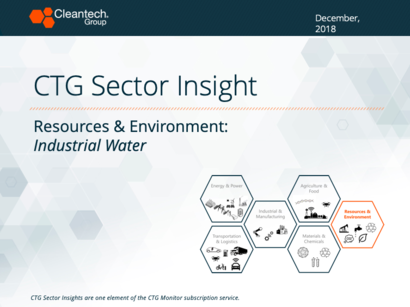 This has led to plenty of recent market activity and developments in the fields of synthetic biology and recycling being applied to the textiles industry. Synthetic biology, such as bio-leather and genetically engineered spider silk, offers ways of producing existing materials more efficiently, and with new or improved properties. New recycling technologies enable waste textile material to be recovered without any quality loss. Both business activities are creating opportunities within the $746 billion textiles industry, with increasing activity from innovators such as Bolt Threads and Worn Again as well as incumbent players such as GAP, H&M and Zara. 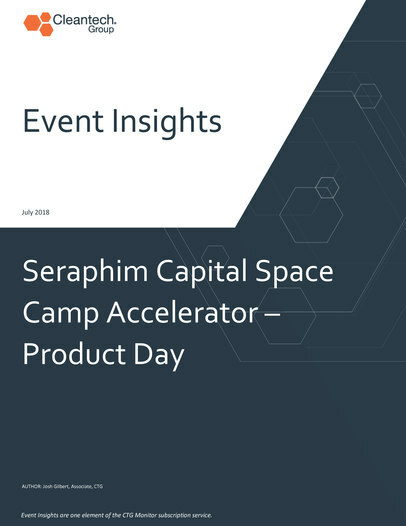 London-based VC Seraphim Capital recently ran an accelerator program for seed-stage companies working on downstream satellite data applications in industries ranging from agriculture, earth observation, drones and IT infrastructure. 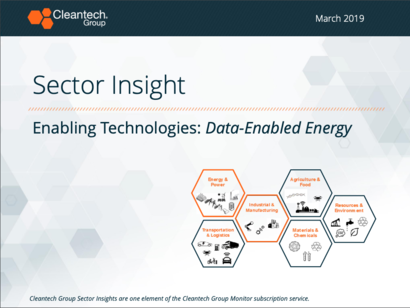 Cleantech Group attended the accelerator cohort’s product day in London, and have written an Event Insights report describing some of the key takeaways from the event. 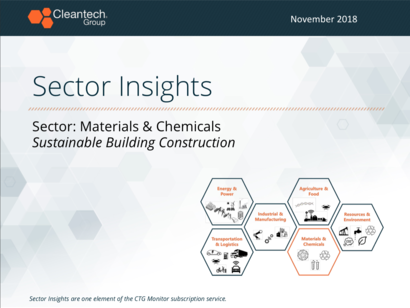 There is a growing market for converting carbon to valuable products such as chemicals, fuels and minerals driven by growing environmental concerns, new technologies and a number of industrial carbon to value infrastructure clusters that are lowering the high initial costs of deployments. 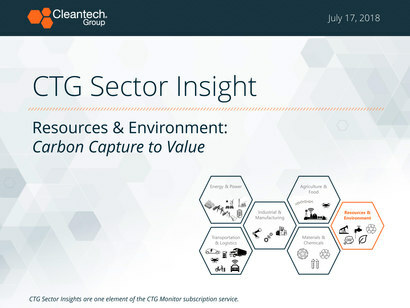 This CTG Sector Insight reviews 2 carbon to value segments. The first is the CO2 mineralization segment and the $400BN market opportunity that exists for CO2 reuse products in the concrete sector. The second is the CO2 to Chemicals segment which, through a variety of new approaches and innovations, is becoming cost and performance competitive with conventional polymers creating a variety of huge addressable markets. 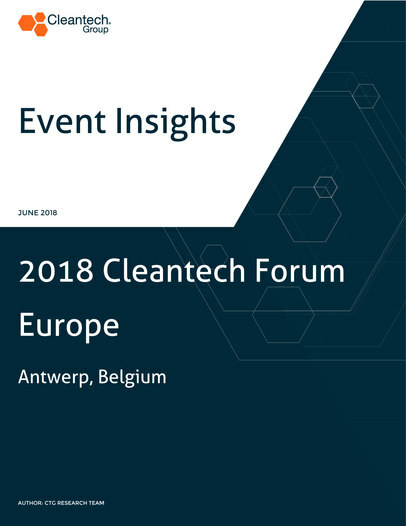 In this document, we are sharing some notes from our 14th Cleantech Forum Europe, which was held last month in Antwerp, Belgium under the umbrella theme Thinking Circular, Thinking Differently, Thinking Next Generation Industries. The International Energy Agency Expert Workshop gathered experts from some of the top players in mobility, including OEMs (Renault, Nissan, PSA), mobility providers (Didi, Uber, Lime, Car2Go), insurers (Axa), mappers (Michelin, TomTom), researchers and governments. It was a rich day of discussions and debates on the future of mobility. 4 CAPITAL & SYNDICATION MATTERS: Will Belts Loosen as Oil Prices Recover? 8 DISSONANCE & DISRUPTION: Is Industrial 3D Printing Coming of Age? 4 DISSONANCE & DISRUPTION: Ones, Zeros, and Loops: Could Digitalization and Circular Business Models Enable the Zero Waste Society? 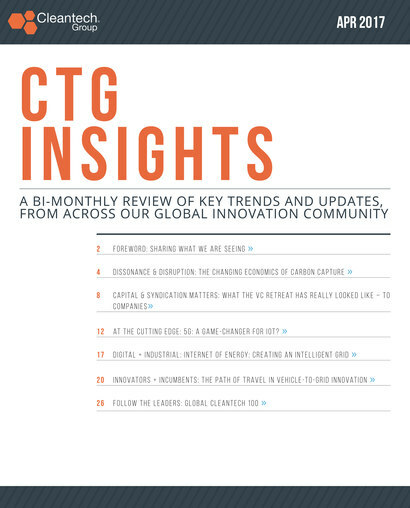 12 AT THE CUTTING EDGE: 5G: A Game-changer for IoT? 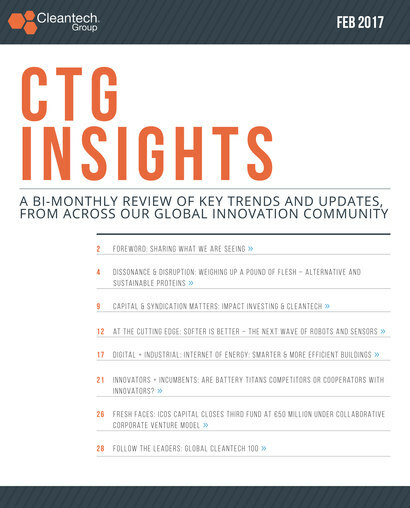 21 INNOVATORS + INCUMBENTS: Are Battery Titans Competitors or Cooperators With Innovators? 4 DISSONANCE & DISRUPTION: A Time For Questions, Not Answers? 17 INNOVATORS + INCUMBENTS: Tech Giants Are Staking Out The Smart Home. Where Does That Leave Energy? 2 Welcome to the Pilot Edition!